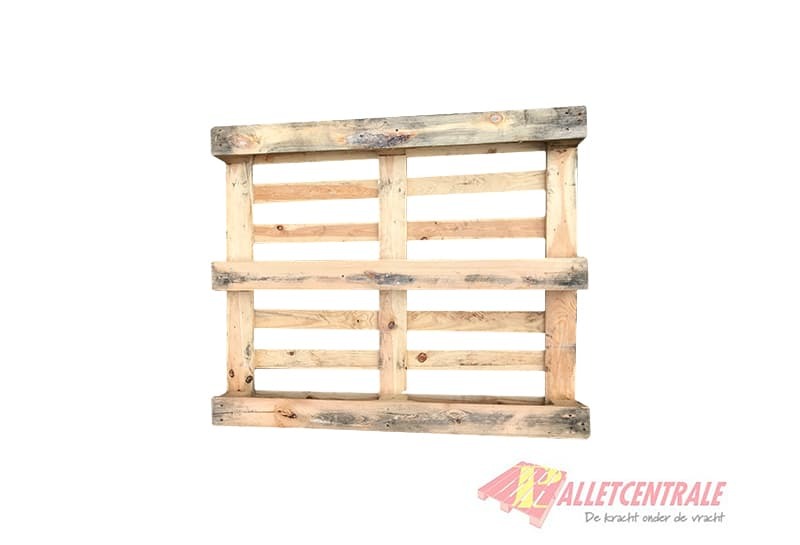 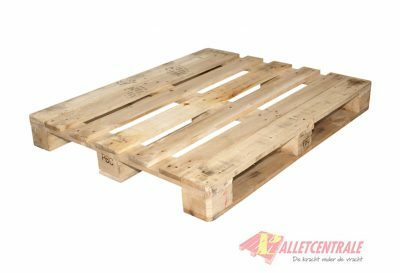 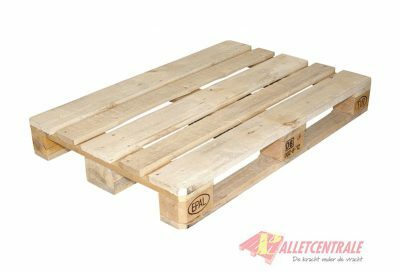 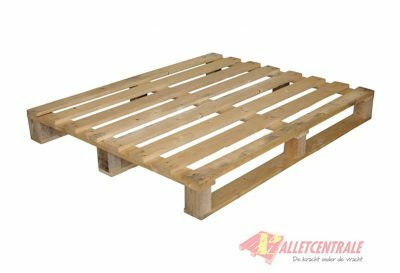 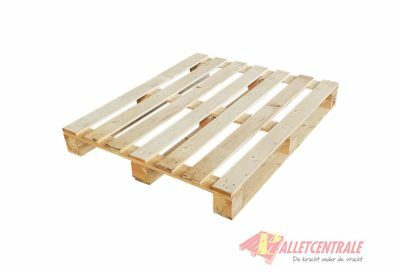 This wooden beam pallet has a size of 100x120cm, it is a medium weight version, with an open lower deck. This pallet is delivered per 16 pieces on a stack, ordering in multiples of 16+ is the most advantageous. 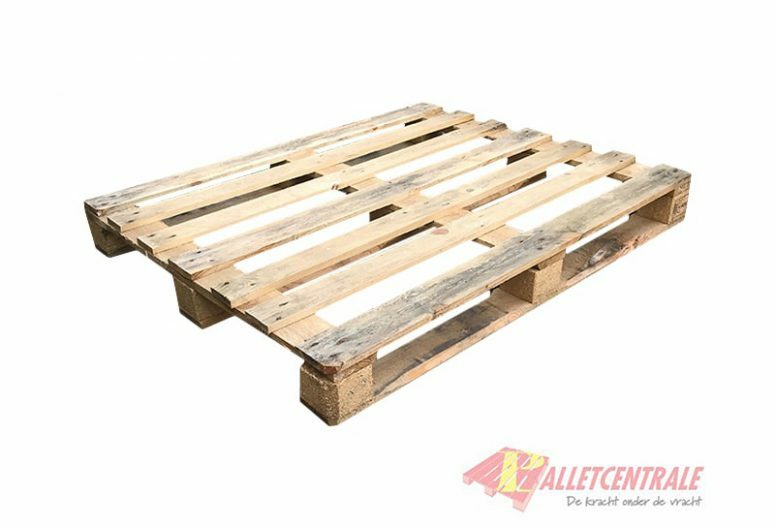 This reconditioned wooden beam pallet has a size of 100x120cm, it is a medium weight version, with an open lower deck.